The Samsung Gear S2 comes in a versatile, circular design with an intuitive, custom User Experience (UX) and advanced features that enable wearers to enhance, personalise and deliver more to their mobile experience. By simply rotating the bezel of the Gear S2, users can quickly and easily access a series of notifications and applications. 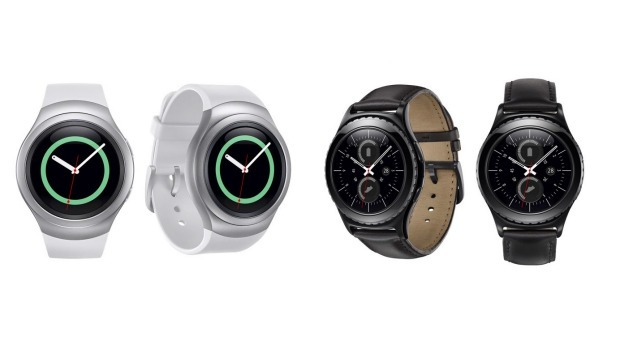 The Samsung Gear S2 has been launched with two different options – the Gear S2 and the Gear S2 classic – each designed to appeal to distinct consumer taste and preferences. The Gear S2 classic is made for users who prefer a more traditional watch design as it offers an elegant black finish with a matching genuine leather band. The Gear S2 is ideal for enthusiasts who love the minimal and modern design. 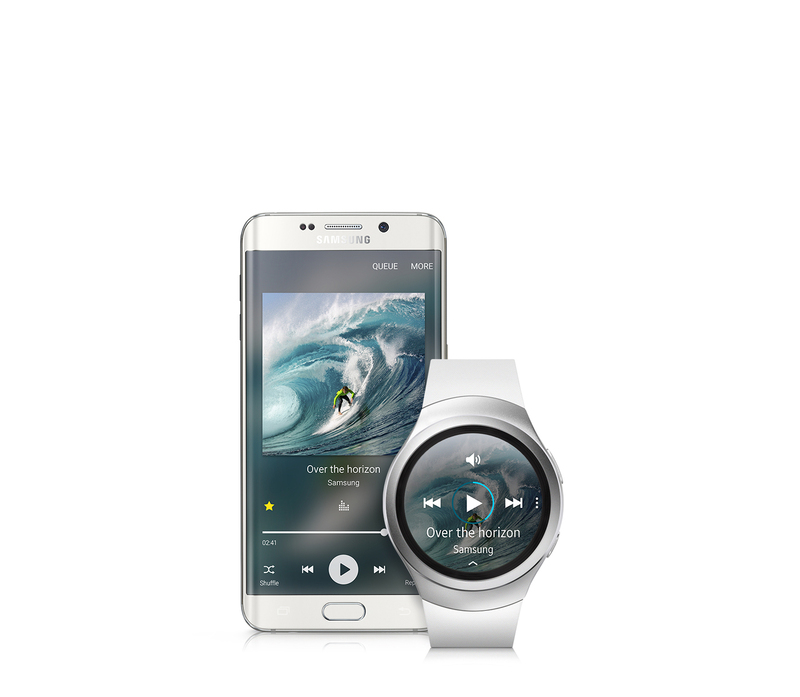 “The Samsung Gear S2 reflects Samsung’s most progressive innovation. A perfect fit for any occasion, easily taking the user from day to night, from work to exercising at the gym – and ensuring that one gets more out of every moment in their day by making it smarter, personal and ultimately, more fun,” says Craige Fleischer, Director of Integrated Mobility at Samsung Electronics SA. The Samsung Gear S2 features an elegant circular display, along with premium finishes that reflects the aesthetic of a more familiar, traditional watch. The Gear S2’s unique rotating bezel, along with the Home and Back buttons, ensures customers have more comfortable and precise control with a quicker, more instinctive method to access notifications and applications than ever before. 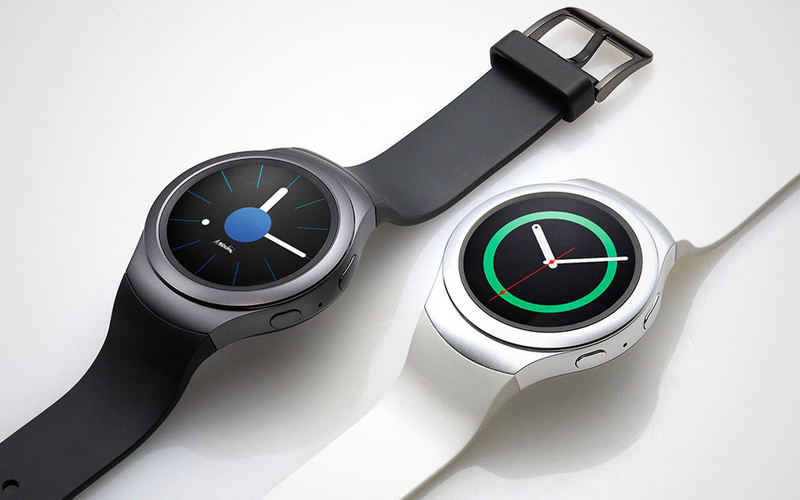 A mere 11.4 mm thin, the Samsung Gear S2 brings a light and compact design to your wrist. It offers an incredibly vibrant view for a smartwatch due to its 1.2-inch circular screen and its 360 x 360 resolution (302 ppi (pixels per inch). The applications on the Gear S2 can be viewed with amazing clarity so that users won’t miss any prompt notifications pop-ups in their busy lives. The band can be easily changed with one click, as well as the watch’s interface for a more personalised and sophisticated Gear experience depending on the time, place or occasion. Thanks to the latest Tizen OS and a wearable optimised 1 GHz dual core processor, the Samsung Gear S2 performs tasks easily and efficiently. The Samsung Gear S2 is optimised for seamless, everyday use with enhanced wearable technologies. 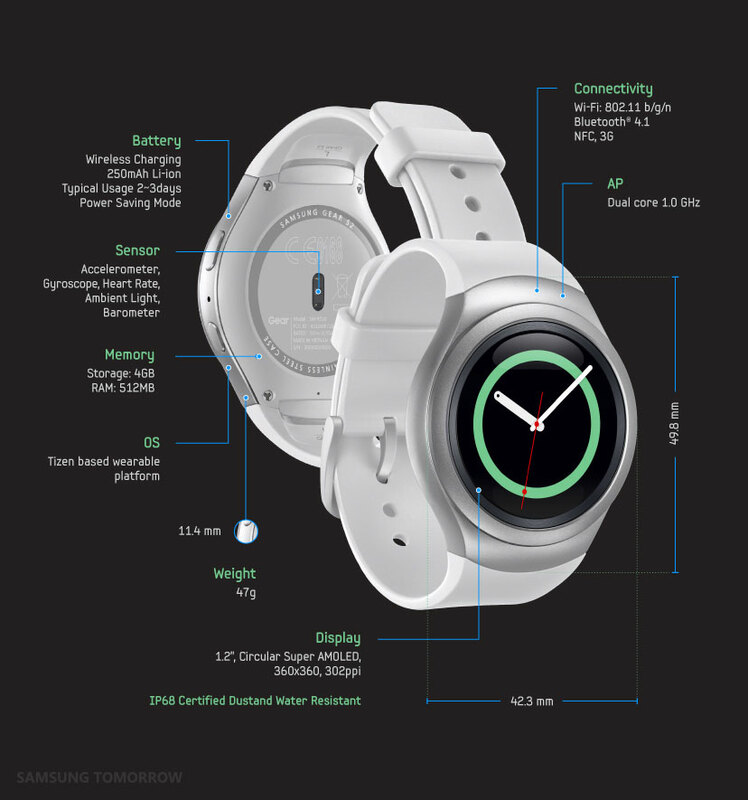 At-a-glance, consumers can stay connected with notifications to check calendars, e-mails, news or send important texts directly from their wrist – and with the Gear S2 offering 3G connectivity and the first e-SIM embedded wearable device with voice capability, users can do all that even when their phone isn’t close by. New fitness functions on the Samsung Gear S2 encourage consumers to stay healthy and active. The 24-hour activity log allows daily activity progress and patterns to be viewed at a glance to stay on track of fitness goals. In addition, auto activity recognition updates the wearer to stay active. For the ultimate convenience on-the-go, the Samsung Gear S2 comes with Near Field Communication (NFC) technology that can enable consumers to make payments without the need for a wallet. In addition, Samsung is working with a wide selection of partners across different industries to expand wearable usability and streamline consumers’ mobile lives in a variety of ways, including smart car keys, residential room keys and remote controls that help manage a connected home. All of these connected features are supported by a battery that can last up to 2-3 days, allowing people to stay connected without the hassle of constantly having to recharge. When it needs to be charged, simply place the Samsung Gear S2 on the wireless charging dock right. The Samsung Gear S2 reflects Samsung’s commitment to open collaboration with developers to bring increased customisation, applications and control to its devices. Through these partnerships, Samsung is continuing to enrich its wearable ecosystem and provide users with a more optimised and unique smart wearable experience. 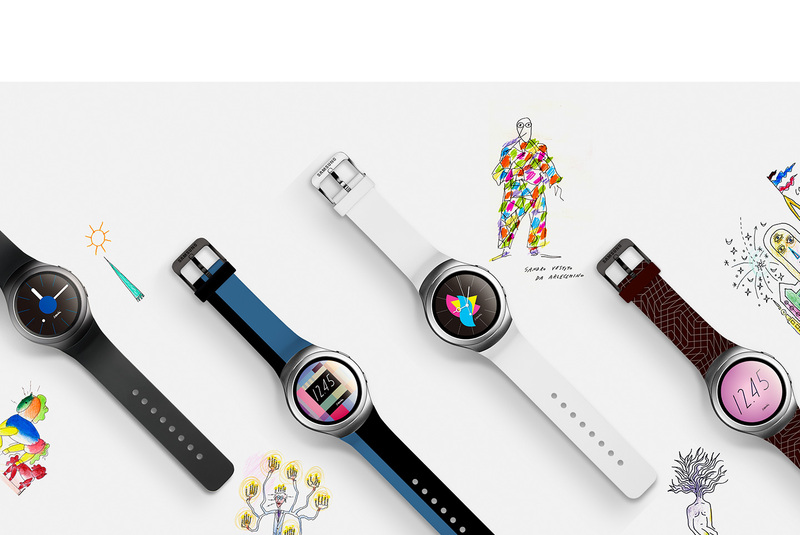 Samsung is working closely with partners to offer a range of watch faces and bands to give consumers various ways to express their personal mood and style. “Throughout the journey of bringing new innovations and concepts to the smart wearable market for the past several years, Samsung has bravely pioneered this category with its advanced wearable portfolio,” concludes Fleischer. For more product information, please visit www.samsungmobilepress.com.